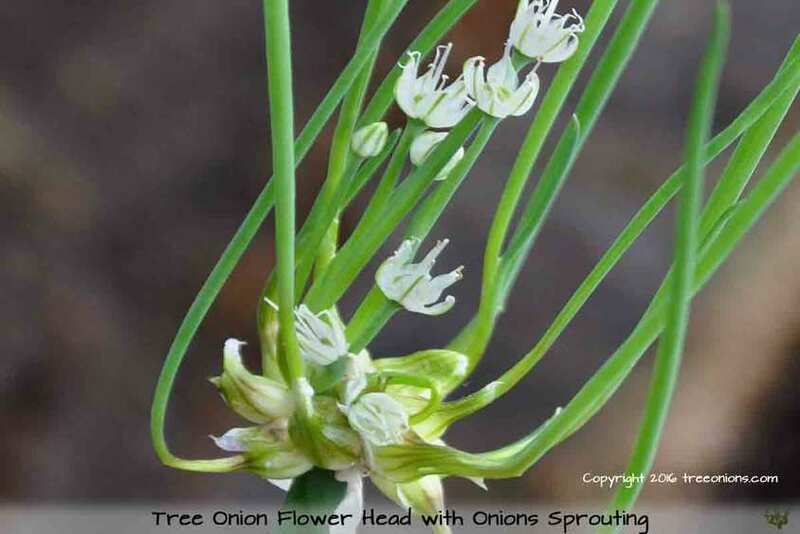 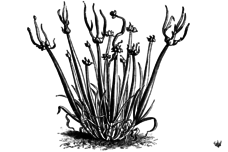 This unusual and almost forgotten onion gets its name from the curious onion bulbs or "sets" that form on its flower stalk and grow into miniature onions with a tree-like structure. 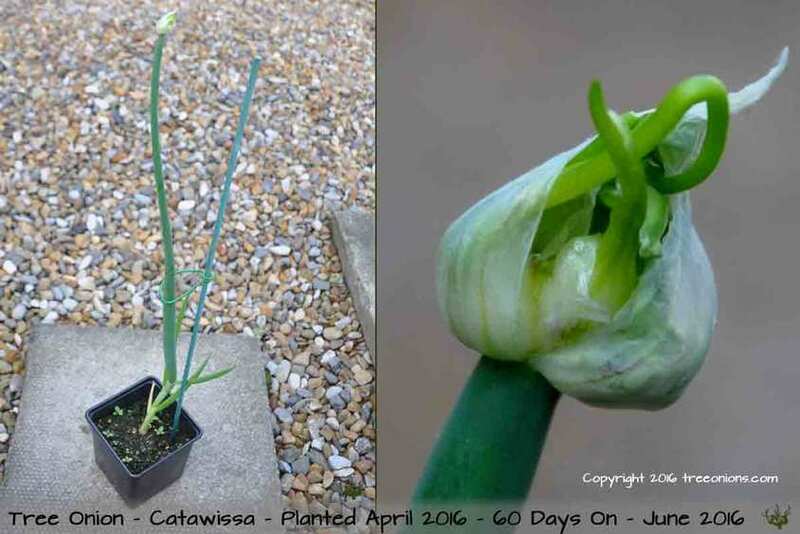 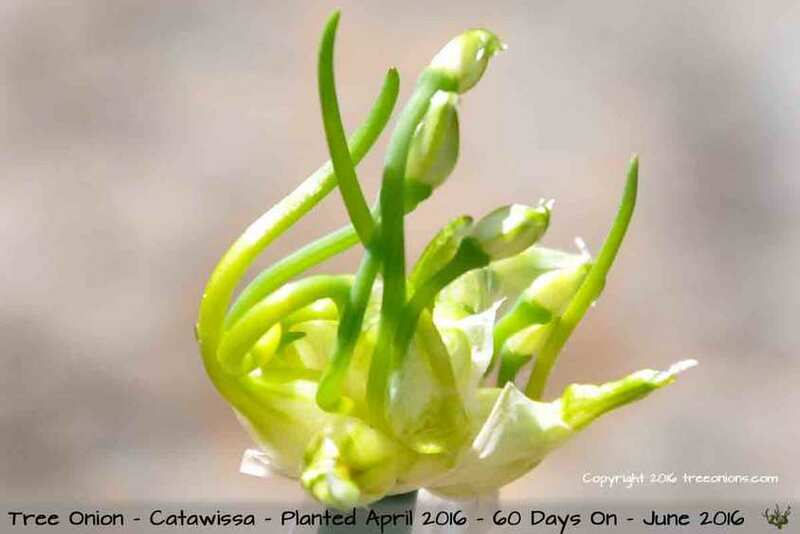 Once the paper thin skin folds back, the bulbils (bulblets) with their own growth can be clearly seen in this UK grown Catawissa onion flower head. 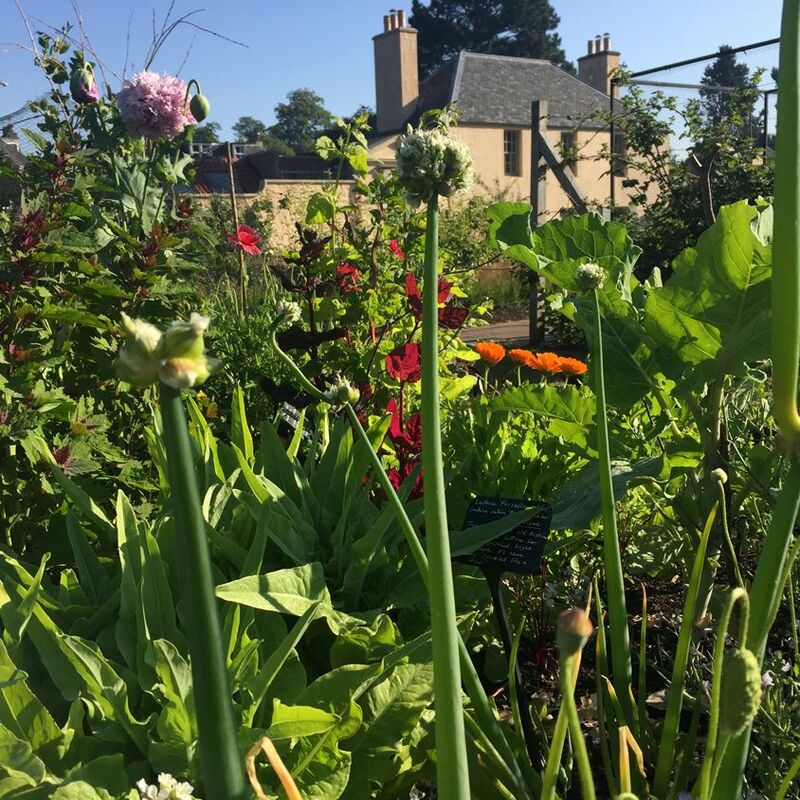 Some of our tree onions grown and exhibited at The Royal Botanical Gardens Edinburgh by Samantha Huber: "One has even double flowered so it looked fantastic... We had 62 mph winds from all directions and the tree onions didn’t move an inch, unlike my other veg which was mangled"
Many of the old seed and plant catalogues can refer to tree onions as "Egyptian onions", presumably for the notion that these onions originated in Egypt but more likely a corruption of "gypsy" and the introduction of these plants to some areas by travellers. 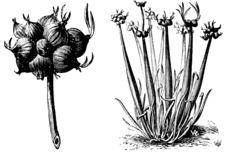 Modern agriculture has lead to the production and use of convenient onion varieties that are easy to grow from seed , harvest, store and transport. 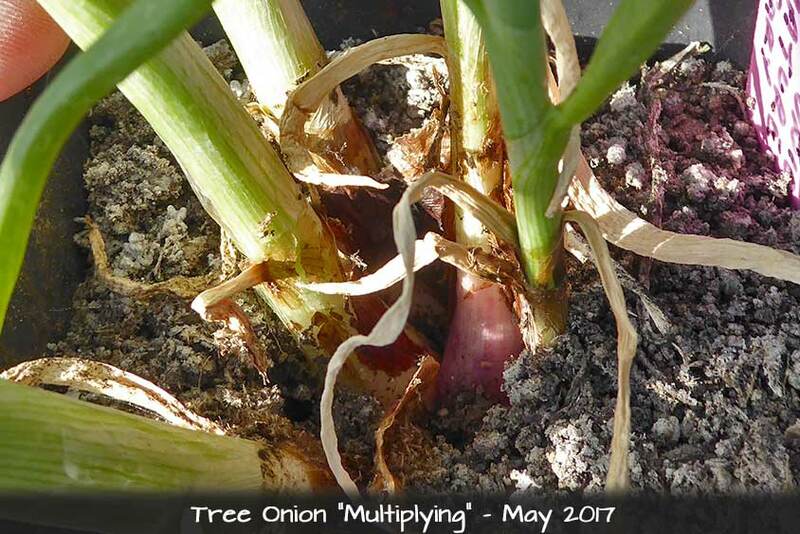 But, they are almost always grown as annuals and need fresh onion seeds or sets planted every year. 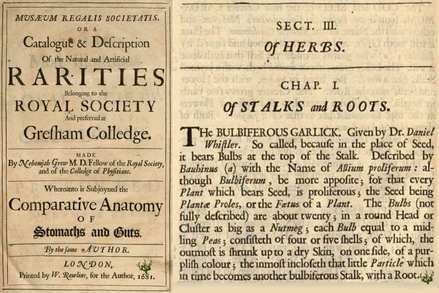 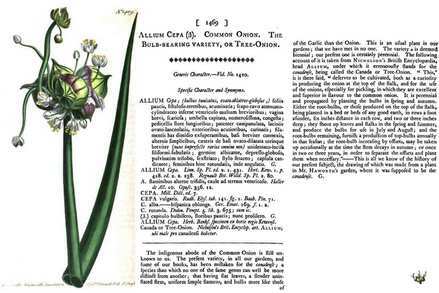 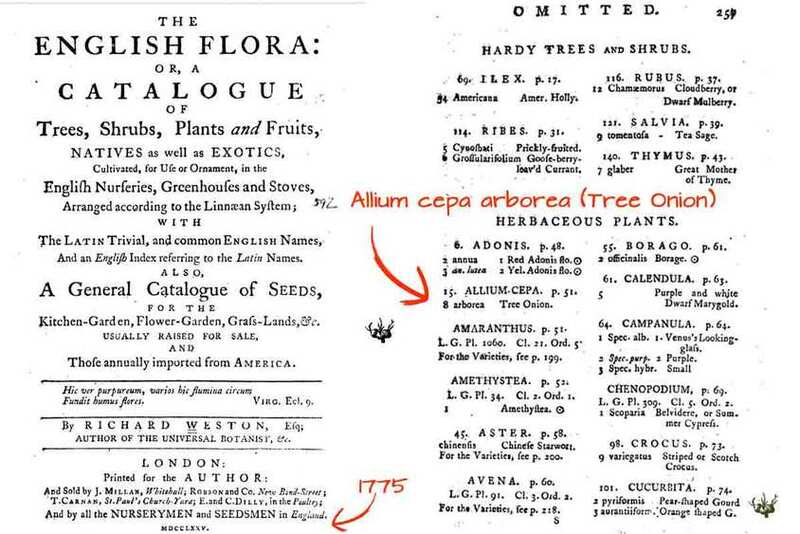 I believe this is one of the very first references to the tree onion in the UK, although it is described as "bulbiferous garlick"